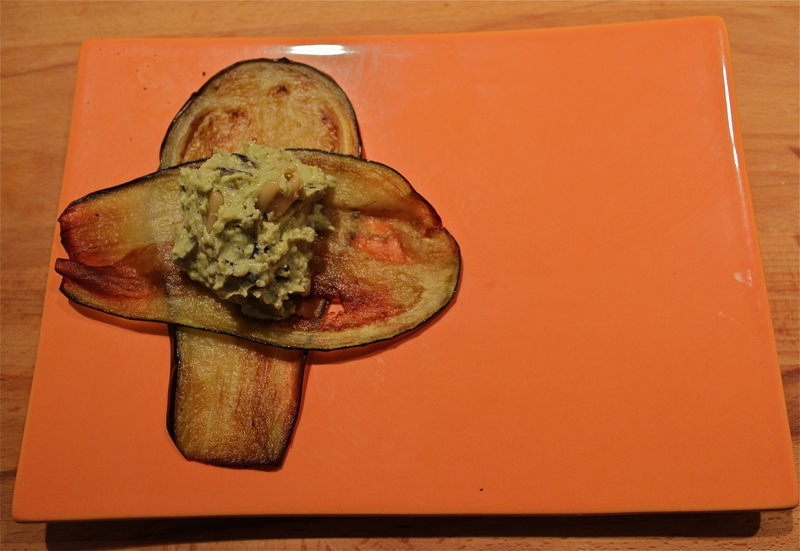 Cut slices from the Eggplant. For every pocket you will need 2 slices. 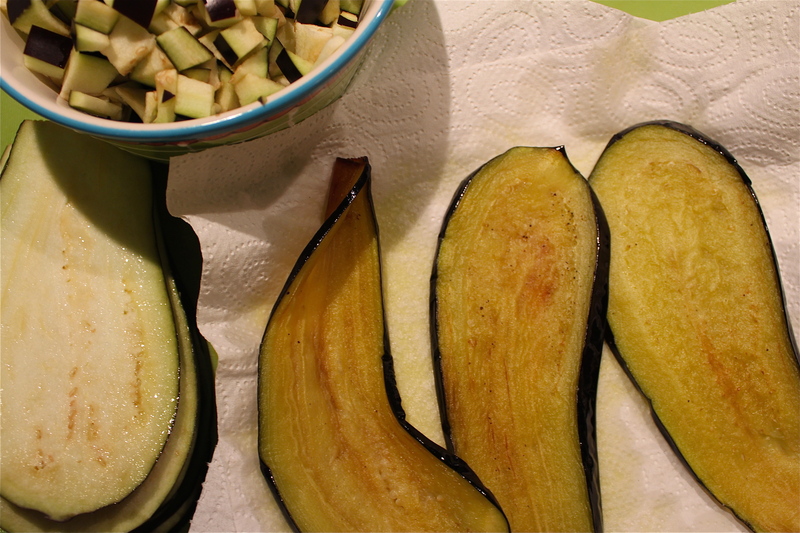 Salt the slices and then fry them in a pan with a lot of olive oil, until they are light brown. Take them out and dab the oil off with a paper towel. 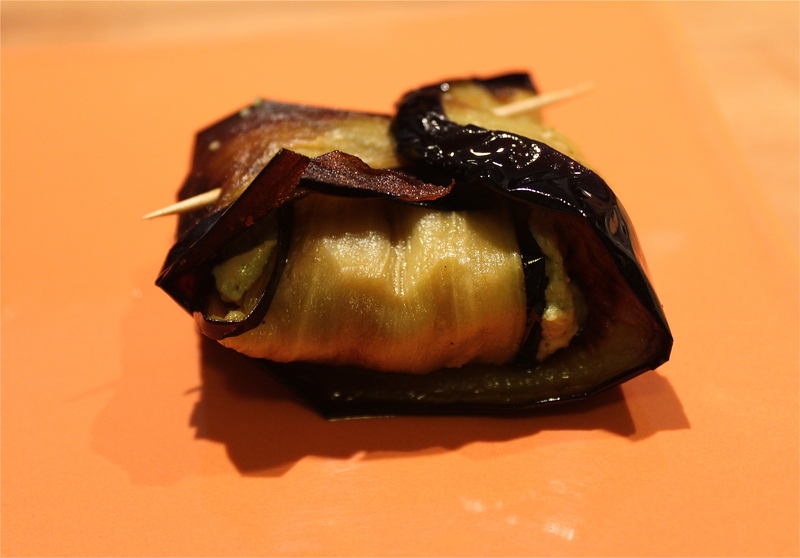 Chop up the rest of the eggplant in little dices and cook them in olive oil. Add salt, Pepper and 1 Tbsp. of Honey, let it cool down on the side. Put 4 Tbsp. Pine Nuts, chopped Garlic, basil and 3Tbsp. of Olive Oil into a mortar. And pestle it. Then mix it with the Ricotta and the Parmesan and add the last Tbsp. of whole Pine Nuts. 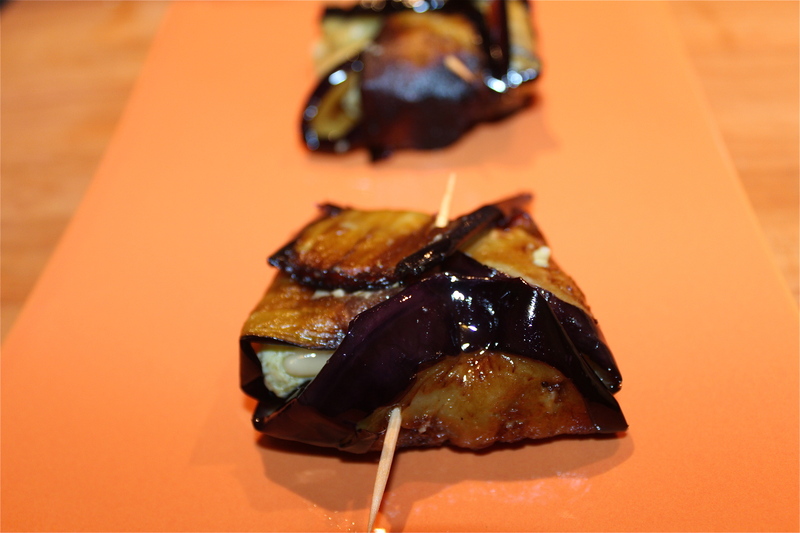 Mix it with the cooled down eggplant dices. Take 2 slices and make a cross. Put a spoon full of filling in the middle and fold the ends to the center. You can close them with a toothpick. You can serve the dish right away or preheat it in the oven before serving.